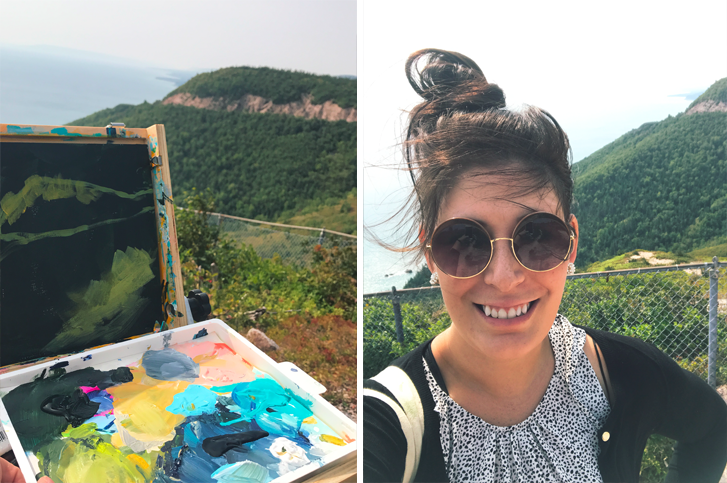 With Marcelle gone back to New Brunswick and Jeremy at work during the day, I knew I wanted to focus on painting during our time in Baddeck. 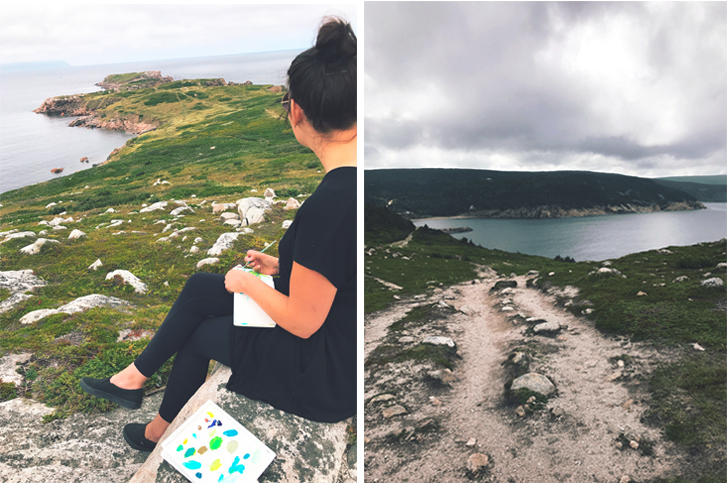 Cheticamp and the Cabot Trail left me with so much inspiration and ideas, I could barely contain myself. I locked myself away (ok, that’s a bit dramatic, but whatever!) in our cabin and painted straight for two days. It felt great to get all of my ideas out of my head and onto a canvas! My goal for the rest of the week was to try my hand out at en plein air painting. “In the open air” or “outdoors”. Essentially, it’s painting outside! It’s pretty common nowadays, but it wasn’t so until the mid-18th century. Around that time, a couple of different art movements (namely, Impressionism) started putting a strong importance on natural light. They ventured outside to do their painting, instead of sticking to the studio. It became even more popular in the 1840s once paints in tubes were introduced. Prior to this, artists had to mix their paints with dry pigment powder and linseed oil (can you imagine?!). 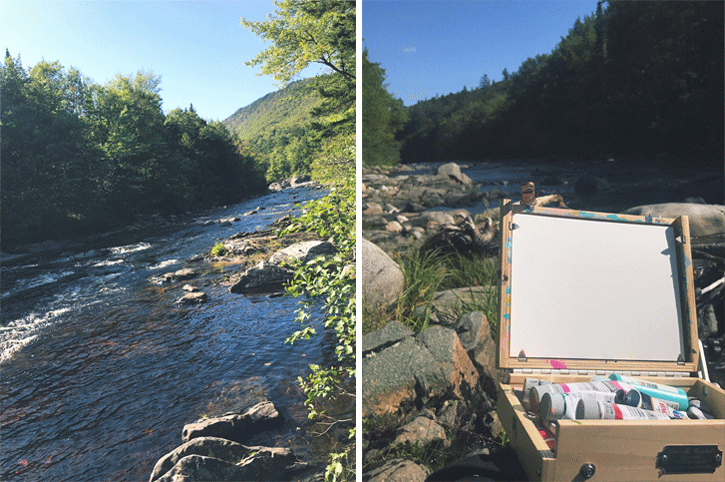 A great tool for plein air painting is a pochade box. I picked one up at The Paint Spot before our trip after chatting about them with my friend Crystal (who is an amazing artist!). They’re basically a compact box that carries art supplies and the inside lid of the box is used as a mini easel to paint on. Super handy. Super windy, really hot - this was one of the most challenging spots. But so beautiful! I drove down a random dirt road without knowing where i was heading when I found this magical place. I hiked down a steep path for about 20 minutes and spent the afternoon sitting on a comfy rock. I had never been to Big Pond. In fact, I didn't really know much about it except that it's where Rita McNeil is from. Turns out it's a great little spot for some painting! Although I've lived in Alberta for the past eight years, I grew up on the east coast of Canada. 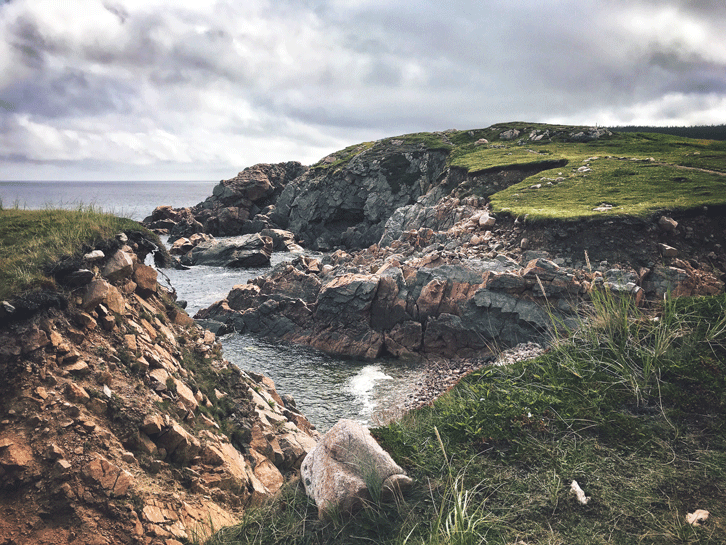 When we were concocting our European travel plans, Jeremy suggested we do a stop-over in Nova Scotia before heading to Scotland. Every once in awhile, Jeremy has a great idea. :) This was one of them! I used to go home once a year, typically in the summer. Since my grandparents passed away three years ago, I haven't been back. It was time. 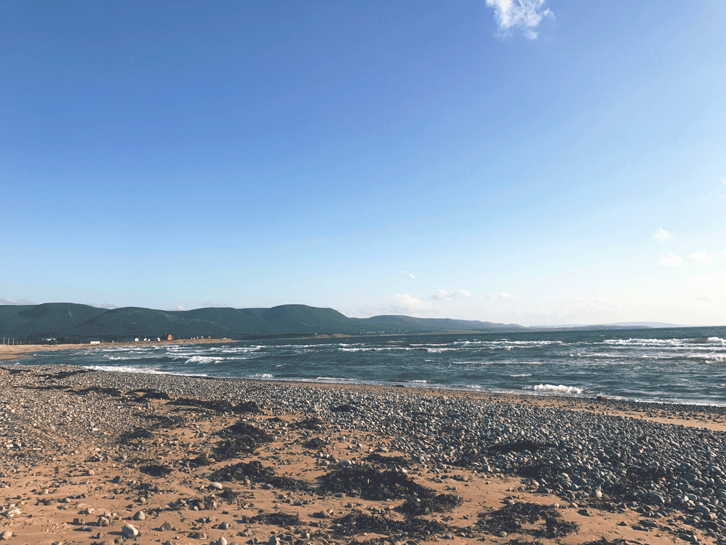 Cheticamp is a small Acadian village on the west coast of Cape Breton Island. It's super quaint, super french and where I spent the first 18 years of my life. 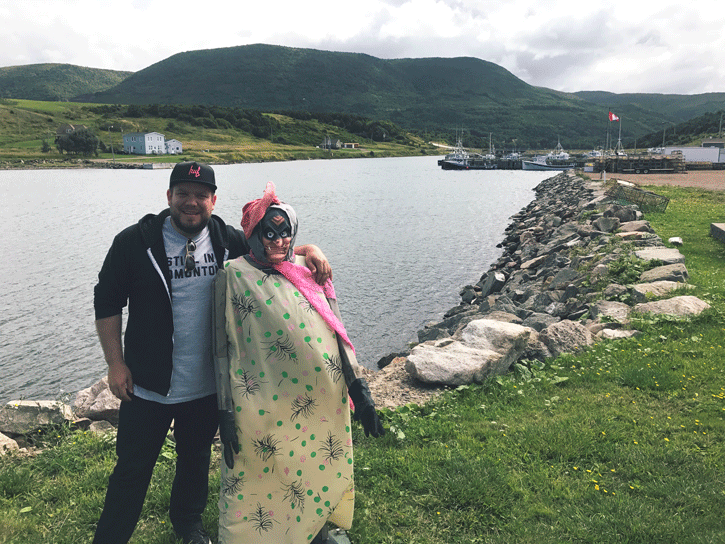 My best friend, Marcelle, joined us for the week and I had the best time playing the role of tourist guide and showing off all of my fave spots on the island. When you've lived somewhere your entire life, its easy to overlook the little things that make it so special. 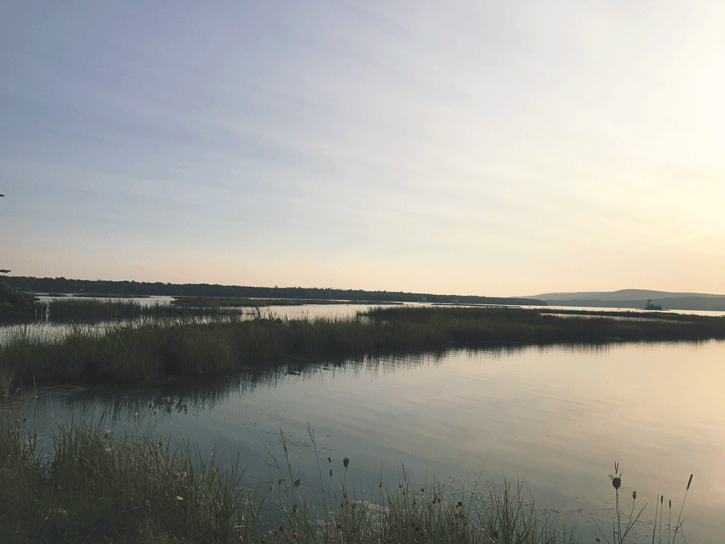 After being away for so long, I felt like I was experiencing Cape Breton for the first time, and that made it all the more inspiring. My collection of paintings inspired by my time in Nova Scotia will be released early October. I can't wait to show you the pieces I've been working on! P.S. 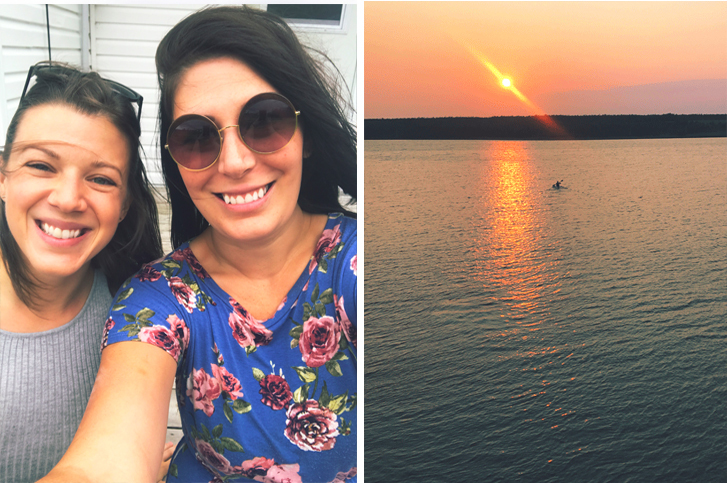 We stayed in the cutest airbnb, overlooking the harbour - The Seaside Shack while we were in Cheticamp. 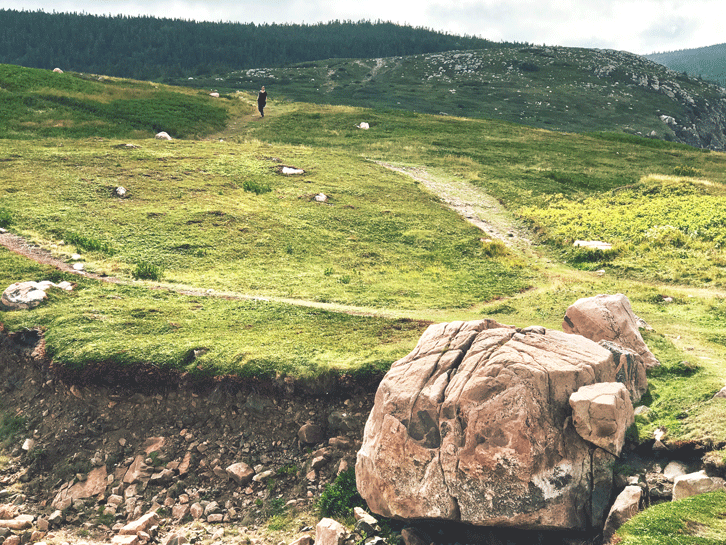 If you're planning a trip to the east coast, you need to check this place out! I can't recommend it enough. Point Hill, White Point - my favourite spot in the world. If you follow me on social media, you've probably seen that I'm in the midst of making some big changes! For the next year, my partner Jeremy and I will be travelling around Europe. It's been a dream for a long time, but I'm honestly not sure either one of of actually thought it would happen. But it is! Ahhhh. I'll now be painting full time. I quit my day job to immerse myself completely in this new adventure (scary, but super exciting). You can expect lots of new work over the next year! New countries, new people, new routines... I have no doubt this year is going to have a profound impact on my art practice. I'll be selling pieces over the course of the year through my website. I'll also still be accepting commissions starting in October when I'm settled into my new home. We have quite the itinerary planned for the next 12 months. We're starting out it Nova Scotia (where I'm originally from) for 3 weeks. Jeremy has never been to the east coast, and I can't wait for him to experience the maritimes. Near the end of September, we're heading to Scotland for just over 2 months, and then to France for 3 months. The plans after France are a little more tentative, but as of right now we're considering spending a few months near the Baltic (Croatia/Montenegro) and then exploring further east.